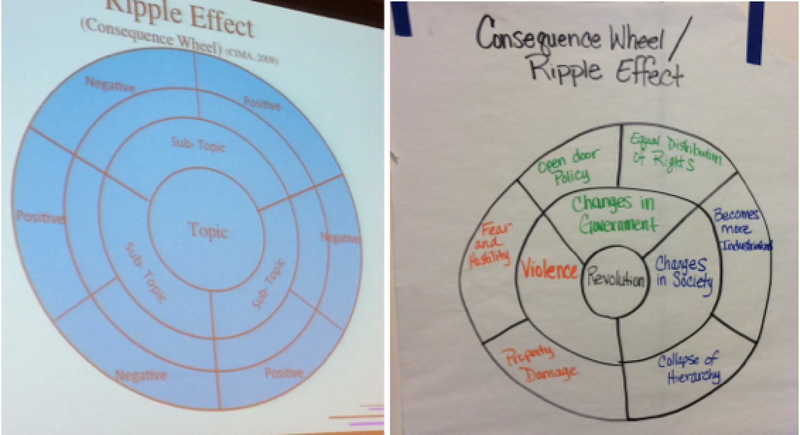 Here is a fun, new graphic organizer: The Consequence Wheel/ Ripple Effect. Add the details, both positive and negative in the next ring. This entry was posted in coaching, Dual Language, Education, Immersion, Reading, Resources, Writer's Workshop, Writing and tagged Bilingual Education, cause and effect, Consequences, Dual Immersion, Education, ELL, escritura, esl, graphic organizer, La Cosecha, lecto-escritura, lectura, literacy, reading, Ripple Effect, teaching, thinking, writer's workshop, writing. Bookmark the permalink.